A bachelor’s degree leads to an additional $1 million in lifetime earning potential, but it’s about more than just money. Graduates are healthier, more civically engaged and contribute to a better life for all. Yet more than half of L.A. County high school graduates lack the classes required to apply to a four year college. And those who are able to enroll face significant financial obstacles, including skyrocketing tuition, a complex financial aid system and crippling student loan debt. The result is a projected shortfall of 2.3 million degree holders over the next decade that threatens the economic future of the region. By combining need-based scholarships with intensive services before and during college, the Los Angeles Scholars Investment Fund (LASIF) helps to end the college graduation crisis in L.A. and increase the number of low-income youth who achieve their dream of a college degree. 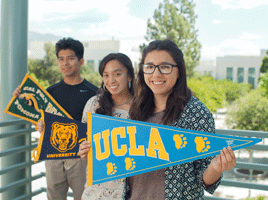 LASIF urges investors to think differently about college support with a portfolio of 20 high-performing nonprofit partners that address student needs before, during and after college. So much attention is placed on college admission, but what happens next? South Central Scholars (SCS) staff found their students struggling in that crucial first semester, unable to persist in competitive fields. Many low-income, first-generation college students dropped out of their intended majors, abandoning career paths they were passionate about because they lacked the necessary writing, critical thinking and math preparation. To address this issue, SCS launched its Summer Academy, which today is helping high school seniors and college freshman to flourish in even the most difficult academic areas. 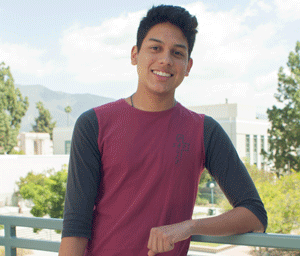 Jeffrey Castro’s parents instilled in him a drive to attend college. But just as he entered high school, tragedy struck. His father passed away, leaving his mother to provide for him and his two older brothers. College seemed further away than ever. 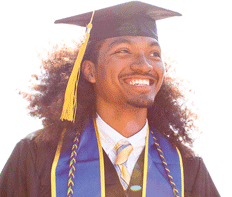 It took joining Upward Bound to open his eyes to his own potential, and today Jeffrey is making his college dreams come true while helping other students transform their lives and futures. Invest in the Future of L.A. When Jeffrey steps across the stage and takes his degree in a few short years, he won’t be the only one who benefits. Every graduate is a million dollar victory for the future of Los Angeles County. 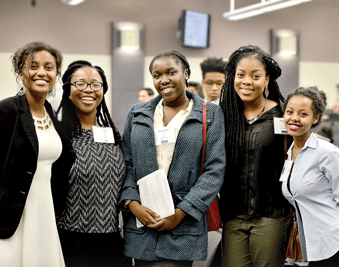 By investing in the Los Angeles Scholars Investment Fund, donors have the opportunity to change the course of L.A.’s economy and reverse the downward trajectory of college graduation rates. Thank you to all of our partners, donors, and supporters who have made the Los Angeles Scholars Investment Fund a success. You have provided thousands of LASIF scholars with the scholarships and support services needed to get to and through college. We look forward to our continued partnerships in creating a better life for students and their families. 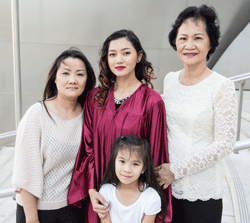 Join with CCF and committed donors across the country to become a LASIF Hero, help end the college graduation crisis and transform the future of Los Angeles County.